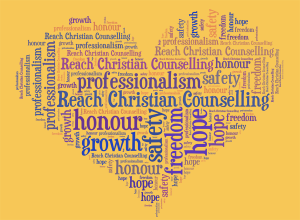 Reach has been offering Christian Counselling since 1986. Our counsellors are trained people from churches around the North West, some of whom are employed, some of whom counsel voluntarily. They are overseen by the Co-ordinator and the Reach Council of Management. We regularly help clients struggling with marriage, depression, trauma, anxiety and abuse, but whatever the starting point our heartfelt desire is to help clients improve the quality of their lives. It has always been our aim to offer professional quality counselling for anyone in need on a donation-only basis, because we do not want anyone to be prevented from receiving counselling for financial reasons. We ask clients to consider our ‘fair donation principle’ which is to donate £1 per £1,000 of their annual income for each session attended. We offer Christian counselling to anyone in need at seven venues across the North-West. This includes pastoral counselling for those who have a Christian faith and community counselling for those of any other faith or of no faith. We offer a professional Christian counselling service with a professionally managed appointment system. We seek to help hurting people find new hope. We help people find greater levels of freedom: ‘You shall know the truth and the truth shall set you free’ (John 8:32). We seek to heal the wounded, mend the broken-hearted and restore marriages and families. We wish to see as many individuals and families across the North West and beyond experience the better lives that are available to them. Professionalism – To offer counselling that is effective, credible and evaluated. To aspire to excellence in all that we do. Compassion – To provide a safe place with safe people, where confidentiality is prized and carefully managed. To nurture a gracious and non-defensive culture. Honour – To speak the truth with love to, or about, people allowing everyone to be valued, dignified and respected. Expectation of growth – Encouraging continued personal and organisational development, based on a willingness to listen and learn within all relationships. Hoping that people can fulfil their potential. Freedom – To maintain and enjoy our God-inspired organisational identity. To serve the wider church and community based on Christian principles, which include: caring for the needy and the broken-hearted and doing good to all especially those in the family of faith.